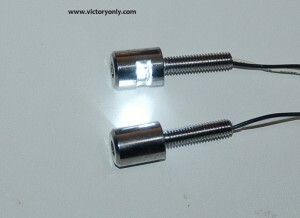 Convert your stock halogen Brake light to safer brighter Led light. 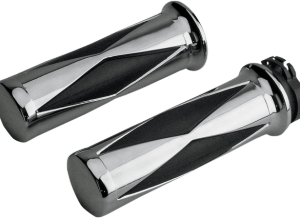 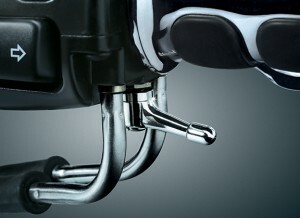 Needed on 2005 – 2008 Victory Bikes when upgrading to a led Tail Light. 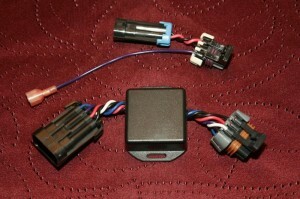 TLA-12V voltage convertor FOR VICTORY MOTORCYCLE AY BE NEEDED TO MAKE A PLUG AND PLAY INSTALL. 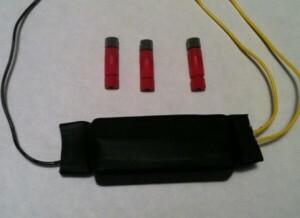 THE TLA-12V HARBESS FOR UPGRADING TO REAR LEDS ON THE REAR OF A VICTORY WHICH CAME FACTORY WITH HALOGEN REAR TAILLIGHT. 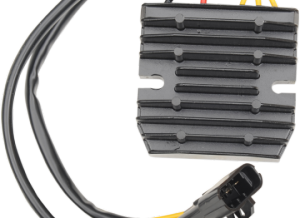 THIS WILL ALLOW THE POWER TO CONVERT TO CORRECT AMPERAGE AND FIX THE FAST BLINKING CAUSED WHEN A LED KIT IS INSTALLED ON A VICTORY THAT CAME FROM THE FACTORY WITH HALOGEN REAR BRAKE LIGHT. 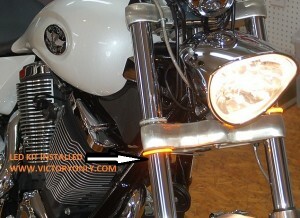 Safety is our #1 concern and the brighter your brake light on a Victory Motorcycle the more cars can see you. 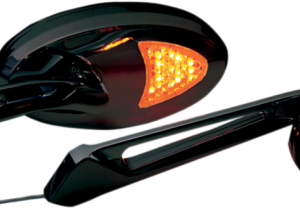 •Not needed for 2003 or 2004 Victory Motorcycles converting to Led turn Signals. 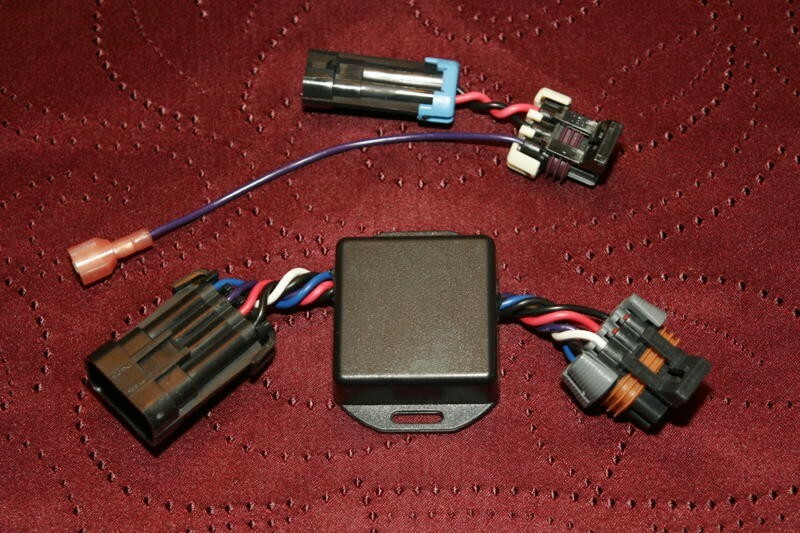 This is the voltage convertor that allows the average person to convert their 05-08 Vegas, Victory Jackpot, Victory Hammer, Victory Kingpin tail light to our new Victory multi LED light. 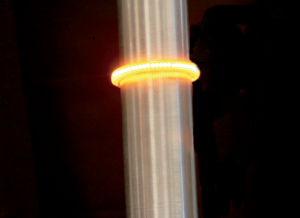 (Light sold Seperatly)* On some models the license plate wire needs spliced. 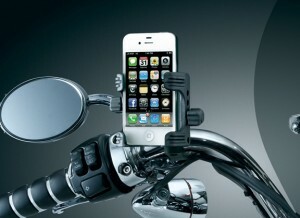 *No returns on electrical components.